With Halloween right around the corner, it’s time to start thinking about a Halloween costume for your dog! 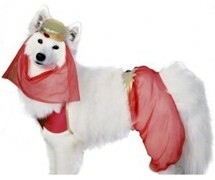 Following are “the best of the best” Halloween costumes for dogs. Even if you decide not to get dressed up yourself for Halloween, chances are you might find it fun to dress up your four-legged friend this year. 1. Superman Dog Costume …It’s SuperDog! 2. 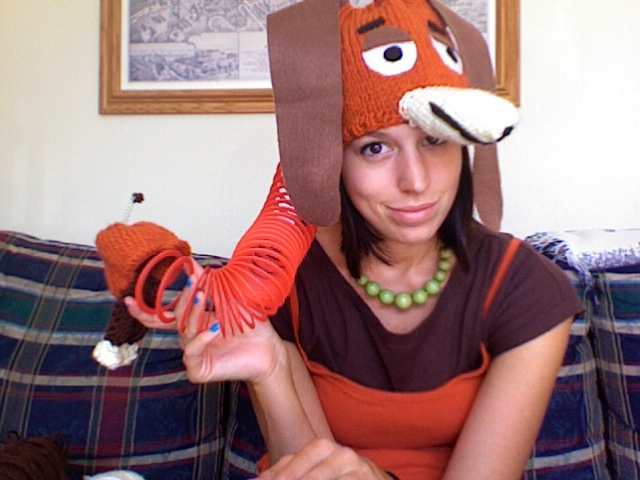 Scooby-Doo Dog Costume …What would Scooby Do? 3. Skunk Dog Costume …What a little stinker! 7. 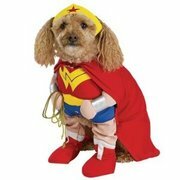 Wonder Woman Dog Costume …She’s a wonder-dog alright! 9. Prisoner Dog Costume …For the escape artist — bad dog! 10. Tiki Dog Costume …Love that hula skirt — swing it! Now that you’ve found the perfect costume for your dog, it’s time to find a dog costume for Mom, Dad & the kids. Pin a sock on either side of the hood for floppy ears. Roll one sock up and stuff it into another to make a tail — then pin it on the back of the sweatshirt. Cover hands and feet with socks. …it’s as simple as that! More fun Halloween costume ideas for dogs and their owners here.